A very common palm of the Australian Top end. 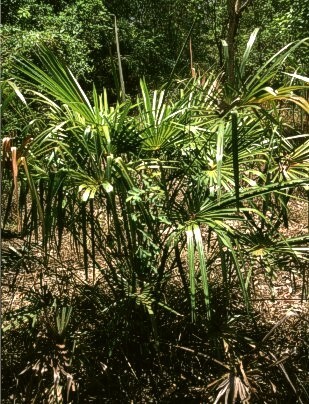 This one is still young, I've seen specimen growning very tall, but - as palms do - not growing in diameter as they mature. The locals said the stem was very hard and used by the Aborigenees for several purposes.